Leave your skinny jeans at home, it’s time to eat pie! When I saw the slew of pies at the first Pie Party Potluck LIVE! we hosted back in 2011, I thought to myself, “This is the BEST EVENT EVER!”. Now, four years later, I love it when the food bloggers say it’s the best event ever. What’s not to love about making, bringing and eating pie with fellow pie enthusiasts? 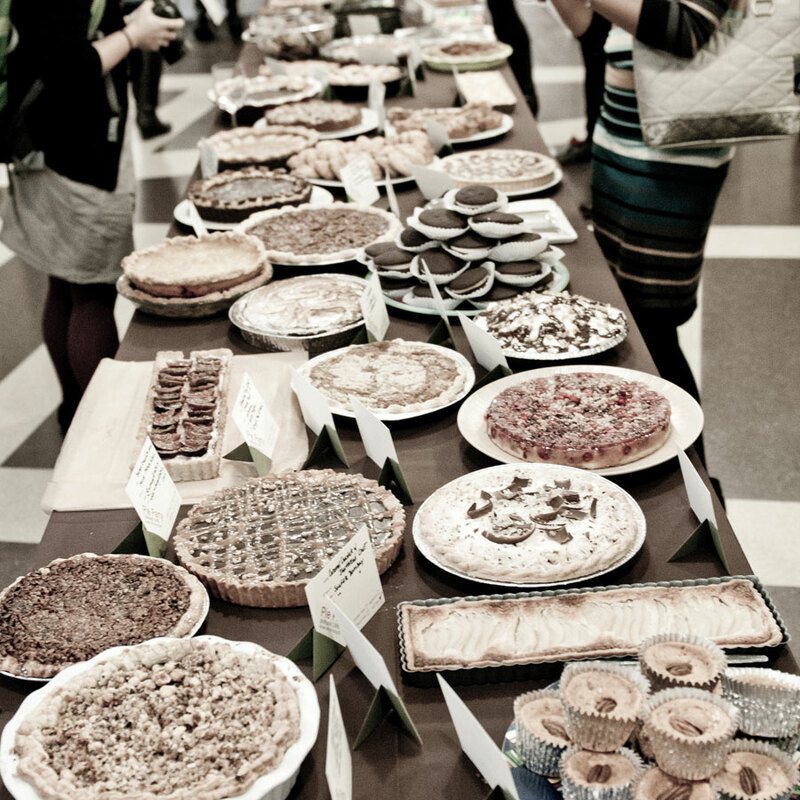 Feast your eyes on the pies we’ll be eating at Pie Party Potluck LIVE! 2015. Pie Party Potluck LIVE! is an exclusive event for food bloggers and culinary professionals only. Each attendee will bring a homemade pie to share. If you fit this category and would like to come to Pie Party Potluck LIVE! please get on the waitlist for this sold out event. We are especially excited to be hosted and sponsored by the Institute of Culinary Education (ICE) at their brand new facility. The sea of pies will sparkle in the gorgeous, sunlit event space overlooking the Hudson River. 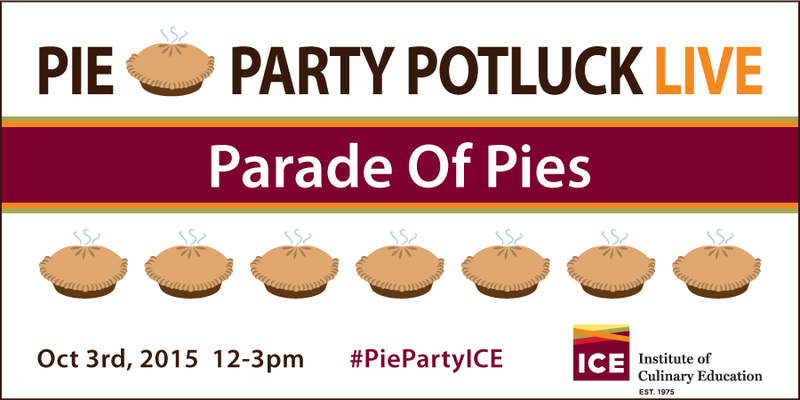 We want to thank ICE and our other sponsors: WÜSTHOF, Anolon, Cabot Creamery, King Arthur Flour, Dub Pies, and Tovolo for supporting this event where food bloggers and food professionals come together for the simple joy of STUFFING our faces full of pie! Cocktail sponsors are Reyka Vodka, Tromba Tequila and Mizu Shochu. 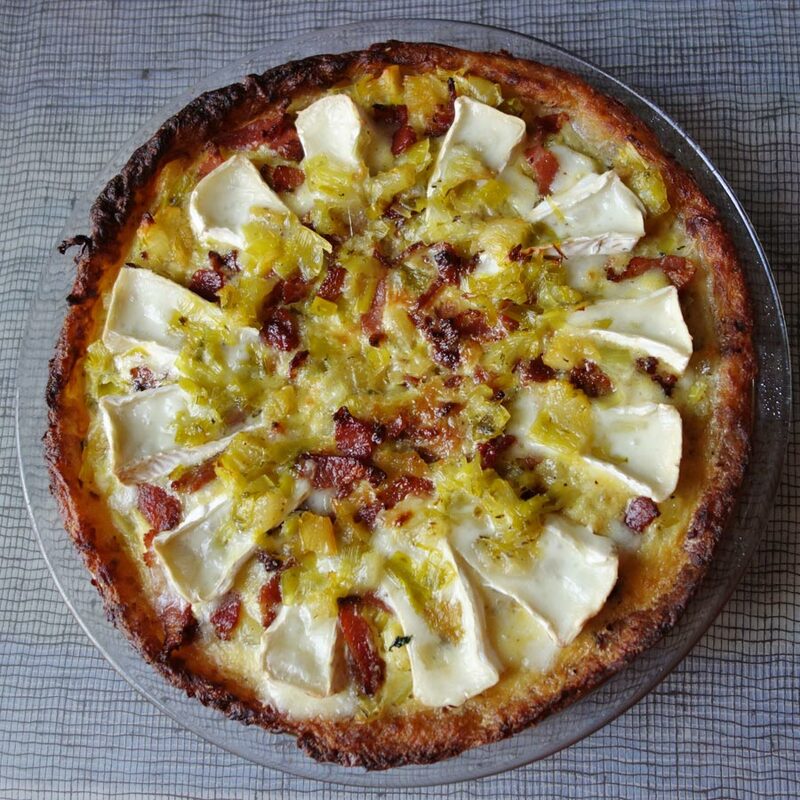 This is a gluten-free pie where the crust is made from potatoes in the style of a potato roesti. I was creating a recipe for one of the sponsors. In a medium saucepan, bring 2 quarts of water and 2 teaspoons of kosher salt to a boil. Add potatoes and bring them back to a boil and boil for 3 minutes. The potatoes should be soft, but hold their shape. Drain. Mix potatoes with butter and season them with salt and pepper to taste. Press the potatoes into a 9” pie pan, firmly. Make sure you get all the way up to the lip of the pan and there are no holes in the crust. Bake potato crust for 20-30 minutes until fork tender. In a large skillet, over medium heat, cook the bacon until crisp and remove bacon pieces. Add enough butter to the leftover bacon fat to make a 1/4 cup. Sauté the leeks, celery leaves and pears until soft, season with salt and pepper, adding more butter if necessary. Add thyme and parsley and continue cooking for 3 minutes. Adjust seasoning. Put 3/4 of the leek mixture in the pie crust. Beat eggs with milk and pour over the leek mixture. Sprinkle bacon pieces on top. Bake pie until almost done, about 30 minutes. You want to be able to place the brie on top without it sinking into the filling. Slice brie in small 1/2” wedges and place cut sides down in a circle on top of the pie. Top with the remaining leek mixture in the center, up to the edges of the brie (you don’t want to cover the cheese). Bake until the pie is done, about 10-15 minutes. You may have to cover the edges of the pie, including the brie, with foil, if the crust gets too brown before the center of the pie sets.